It’s sort of a cliche question…”what makes someone successful?” But it’s one of the most important questions we can ask ourselves. 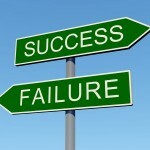 Success, in my opinion, does not just come from being lucky or being in the right place at the right time. Though those things may help, there is a lot more to being successful. I’m referring to “success” in its many forms. Success in life, your business or career, financial success, having successful and meaningful relationships, success in your fitness and health goals, spiritual well-being, or any other facet of life that is important to you. If you want to be a millionaire…you wouldn’t put yourself around people who don’t have a solid work-ethic. If you want to lose weight or live a healthier lifestyle, I would hope that you start reevaluating the toxic people in your life who make you feel badly about yourself or sabotage your healthy habits. If you want to get promoted or advance your career, you would surround yourself around people who are doing what you want to do…not the coworkers who don’t care. If you want to soar like an eagle, don’t surround yourself with turkeys. I attribute the success I’ve had in life I believe, because I’ve always tried to surround myself with people who inspire me and people who genuinely want to see me succeed (and my successes are complemented by just as many “failures” that made the success that much sweeter!). Here is my short video of an event last night at Om Aroma & Co., an organic skincare line, in the Short Hills Mall in NJ. I was with a group of driven, women entrepreneurs from a group that I am a member of – Savor the Success…we mastermind, we share resources, we network, and we hold each other accountable to our goals. So…I ask you…who are you surrounding yourself with? Are they reflections of the success you see for yourself? Do they inspire you to be a better person? Do they hold you accountable to your goals and dreams? Life is short…we each deserve success…and when we succeed we deserve to savor it!